I would find it to be very useful if I could import JSON files much the same way I can XML and CSV on the ServerConnect side. In fact, my mind is already racing with possibilities. I am aware that I can bring in a JSON data source via AppConnect but my thinking is that I can do a whole lot more with it (processing, formattting, emailing, storing in a database, etc) on the ServerConnect side. If your JSON data is coming from an API service, you can use the server API tools to get the data and loop through the records and do whatever action you want to with them (insert in a DB table, filter, send mail etc). Good to hear from you! Yes, I am quite familiar with the API tool. I’ve been using it a lot! In this case, the JSON would not be coming from an API call. 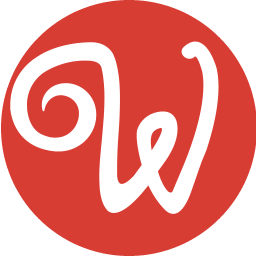 I am thinking about the data integration possibilities of Wappler, in particular, consuming output from other scripts/services that may be running on the server. For example, if I could have ServerConnect to Import a JSON File (which may be triggered by the Action Scheduler) I could do a lot more with connecting Wappler to other services/scripts that don’t have a web services API for me to query but do have a valid JSON output that can be worked with further (visualized, processed, emailed, etc.). I think this would extend Wappler’s integrations capabilities even more while leveraging some of the existing technology (importing files and JSON parsing).